Is that one of those Stephen Hawkings dealies? 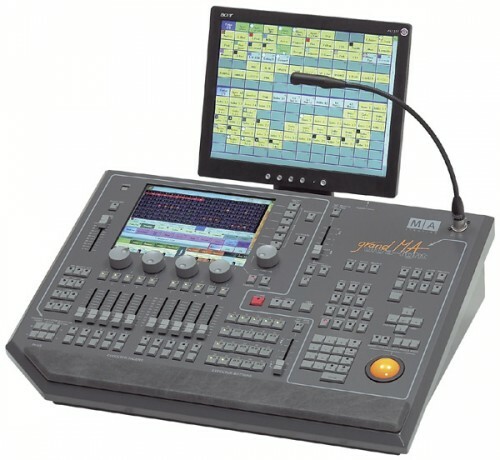 It’s actually a Grand MA lighting board for concerts, theater, etc. Looks ridiculously complicated but it’s really very easy to use and lots of fun too. What do those knobs and dials do? Who cares? I want to play with that thing now. well apparently not completely useless cause they have bachelor’s and masters degrees in “Theatrical lighting design.” but yes, i have been known to use lights to distract people from bad acting. and that console makes it really to do quickly. moving lights = major fun. I used to build stages for concerts.